While photos remain the most common type of post for Facebook pages, and they continue to generate strong engagement, videos result in significantly higher engagement, yet they accounted for just 3 percent of pages’ posts in a recent study by social analytics firm Quintly, compared with 54 percent for photos. 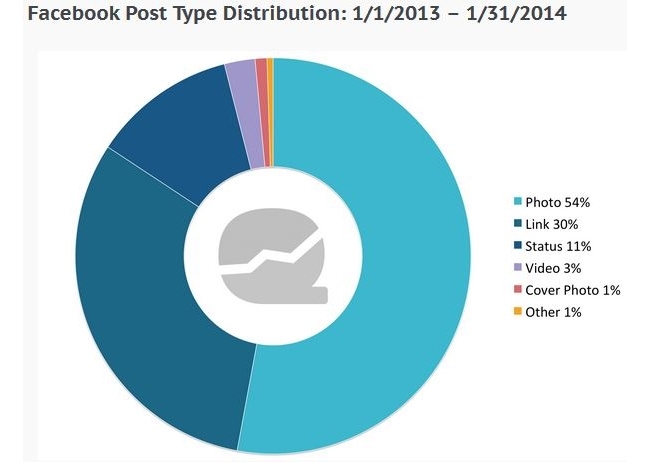 Quintly examined 72,194 Facebook pages throughout the month of January, encompassing some 49 million posts, and it found that videos averaged 2,183 interactions, compared with 1,358 for photos. Due to the permanent adaptation and optimization of the Facebook News Feed and the implementation of more than 1,000 different weights for users, it has become a major challenge for Facebook pages to reach their existing audience. Meanwhile, many pages are reaching only a small fraction of their fans, but of course, the reach of those posts can easily be increased by boosting them as sponsored stories. Basically, the more interactions a post receives, the more fans will see it in their News Feeds. 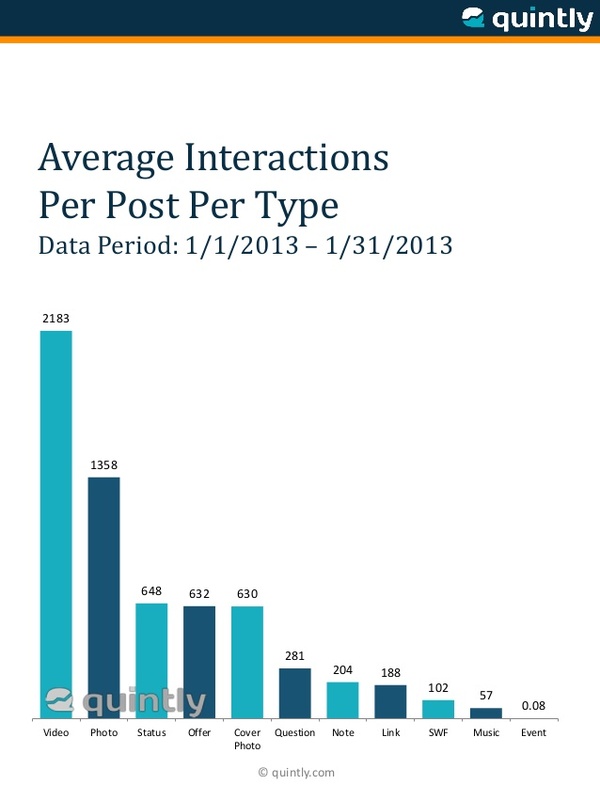 This raises the question of whether one can find out which post types are generating the most interactions. In other words: Is visual content really the holy grail to appear in the News Feeds of fans? In fact, this is nothing new for experienced Facebook marketers and users. With a share of 54 percent, photos make up more than one-half of the total content volume. The same applies for average interactions per post type. With an average of 1,358 interactions per photo post, this type ranks second. The type with the highest number of interactions is videos. On average, a single video post created 2,183 interactions between Jan. 1 and Jan. 31. However, video posts had only a 3 percent share of the total content amount. For more information, please see Quintly’s study and Slideshare deck. Readers: Did any of Quintly’s findings surprise you?